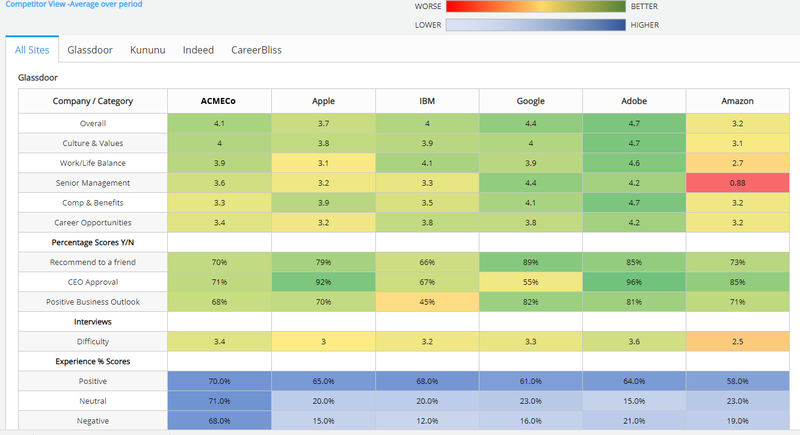 TRACK YOUR RATINGS ACROSS MULTIPLE SITES AND COMPETITORS. Monitoring Employer Review sites on a daily or weekly basis is not only time consuming, it doesn’t provide a unified view of the data comparisons. The Talentegy Index Score is an aggregation of a company’s key ratings across multiple channels, including reporting and access to all individual scores. Companies can access data for a designated timeframe, as well as track them over longer periods of time to undercover trends or easily log impact events. It is extremely powerful to have historical data beyond the day-to-day visibility provided by most sites today and in far more granularity. Users can also download and export the information into Excel, PDF or PowerPoint formats for easy sharing with their team. Companies can also track their reputation against those of their competitors whether that is an industry vertical or talent driven. They can easily compare how they rank against their direct business competitors, or just as importantly, those for whom they compete with for high demand talent skillsets. 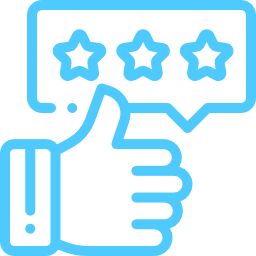 Talentegy continuously monitors ratings and scores and will proactively alert when individual or aggregate scores move in a negative direction. 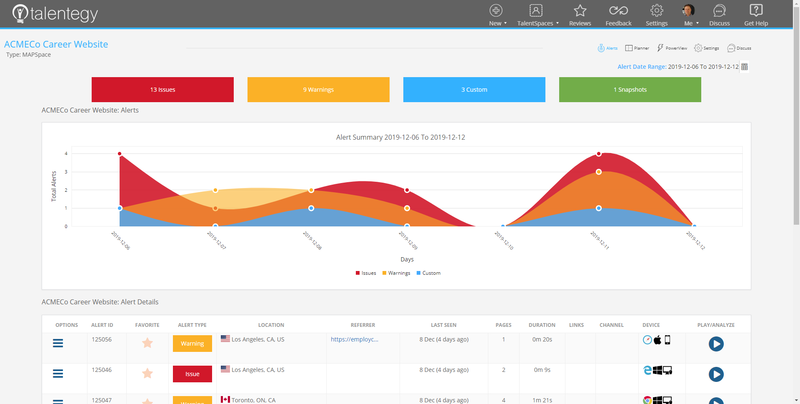 Custom alerts can also be set to define specific monitors as needed. 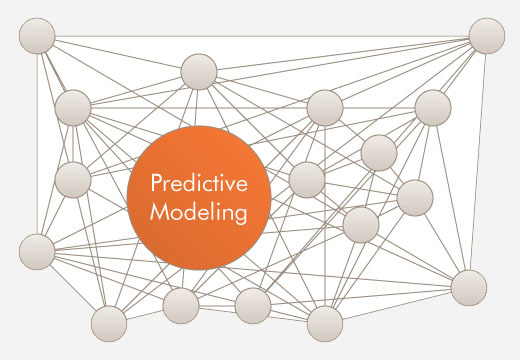 Companies will be able to model future performance scores using built in predictive analytics that are specifically tuned using ratings data and input from other impactful sources.